Since we were house sitting in Devonport, we thought we would do an escape room. 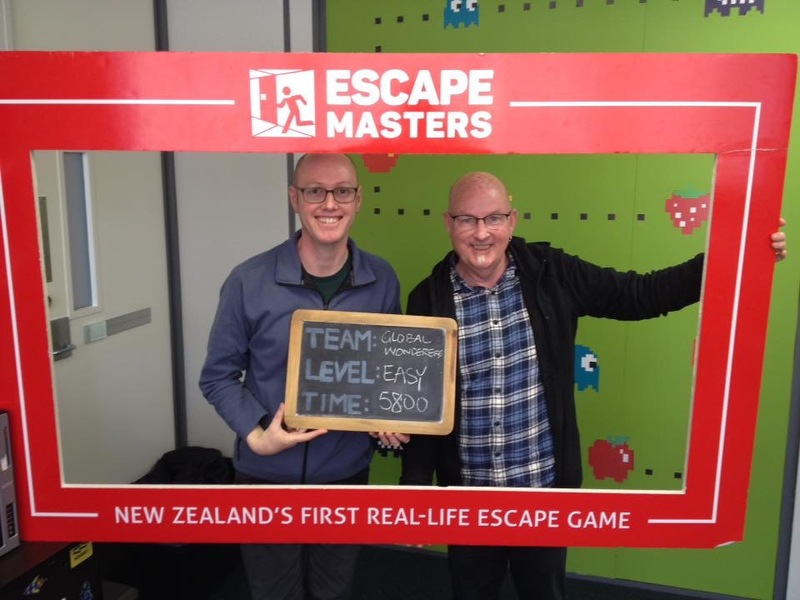 A quick google search brought up Escape Masters and when looking at the rooms we found Cyber Crime which states, “If technology is your thing, then this is the room for you!” This sounded like us so we booked in for a game. Our task was to retrieve confidential data which had been stolen by cyber criminals. The room certainly was IT based with computers and technology everywhere. We were actually given our starting instructions in the room which is different from other escape rooms we had done. Also, to get a hint, you pressed a call button and the game master would actually come into the room and give you clues – once again, something we hadn’t experienced before. It did however tend to break the experience somewhat. They obviously also receive a lot of Chinese players as all the written instructions/clues were provided in both English and Chinese and their website also has both translations. We chose to play the easy level as there were only two of us but all the rooms at this establishment have different levels so you can return multiple times to play the same game. Our experience was going well until Andrew used a “clue” on the wall that indicated if something wasn’t working, restart it. He restarted a computer but upon rebooting, we were locked out of the machine. A call for help and the game master tried to reset it but couldn’t so had to give us the answers that would have been retrieved from that computer. A bonus of this malfunction was that we were invited back for a free game. We escaped in the nick of time and once again enjoyed the experience. Not all puzzles were directly connected with the story line but some good challenges that kept us on our toes.